Determine the power of each source. 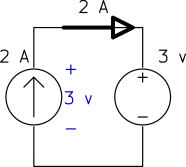 a) The current source keeps the current of the loop and the voltage source keeps the voltage across the current source as shown below. a) The voltage source is in series with the current source. 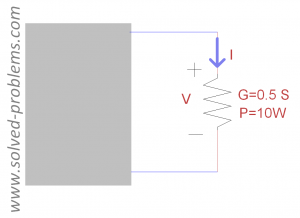 Since by definition a current source keeps the current passing through itself constant and the voltage source is in series with the current source, it should have the same current . 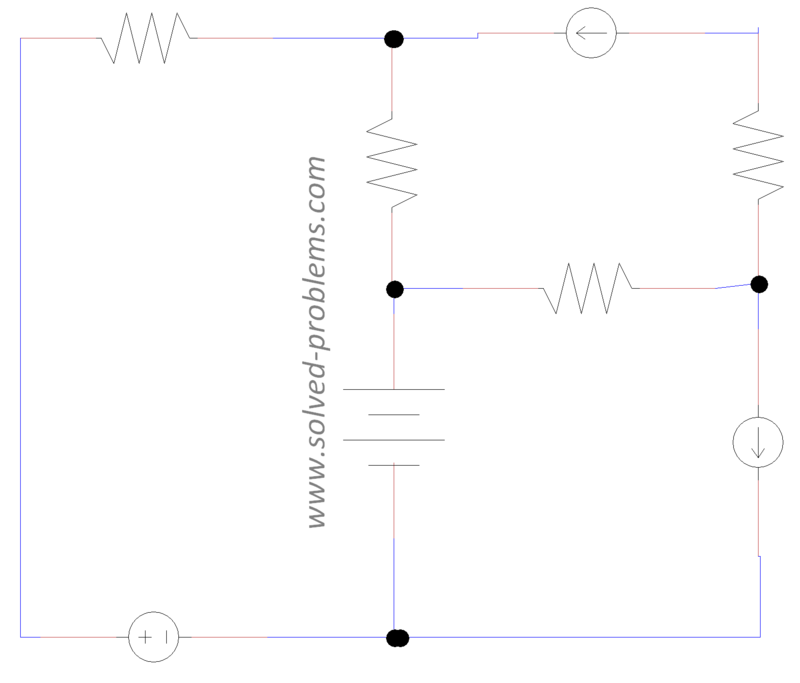 Find voltages across the current sources. 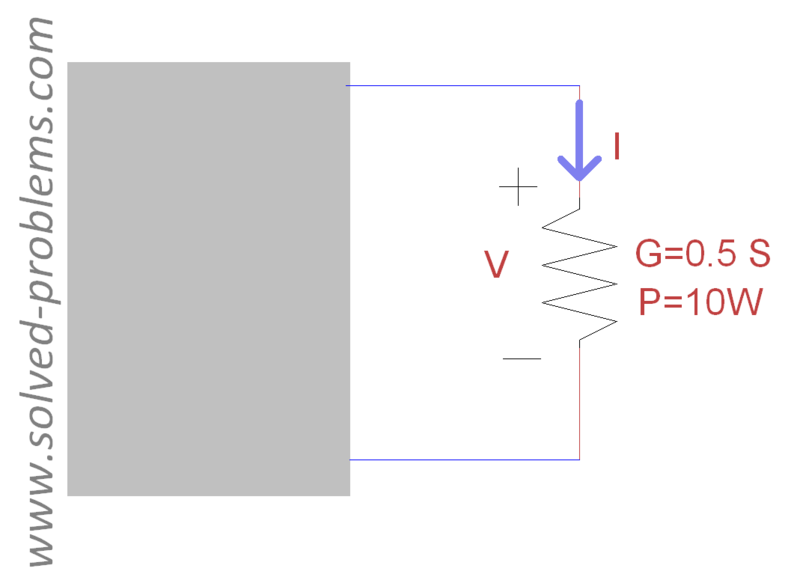 In each case, the current source is parallel with a voltage source. Therefore, the voltage across the current source is equal to the voltage of the voltage source, regardless of other elements. 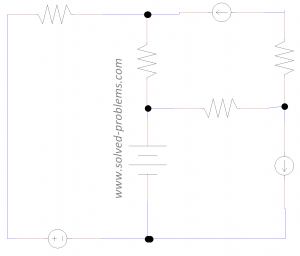 Determine the power absorbed by the resistors, the conductance of the resistors and .